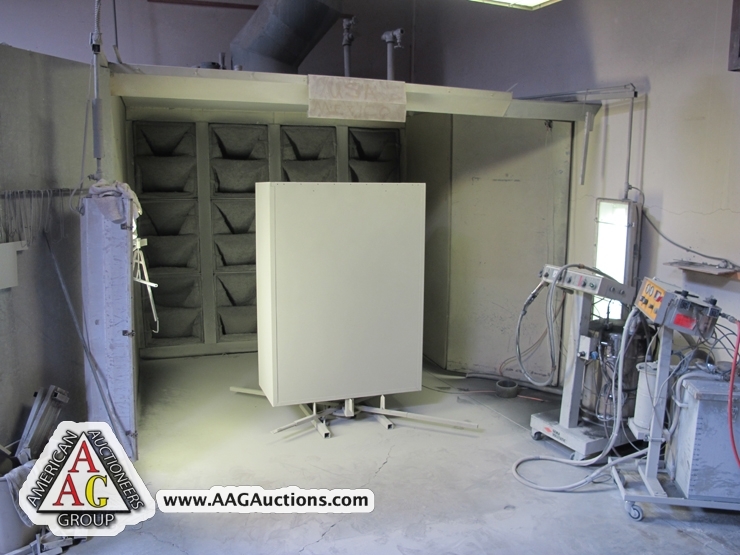 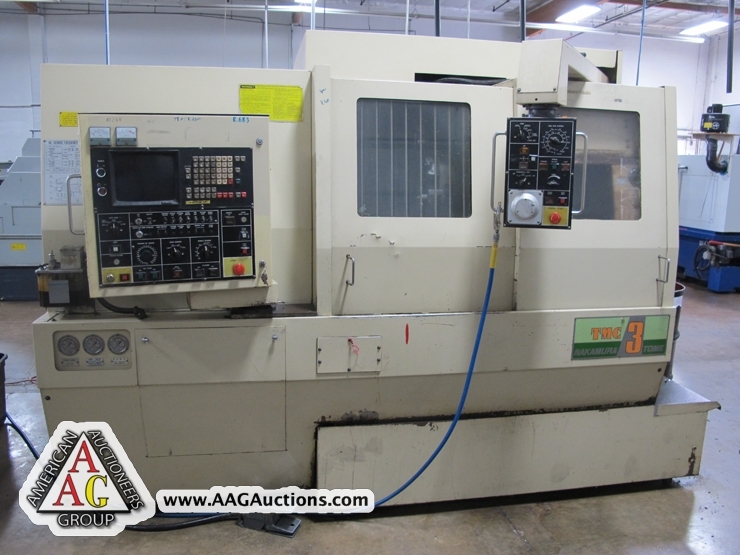 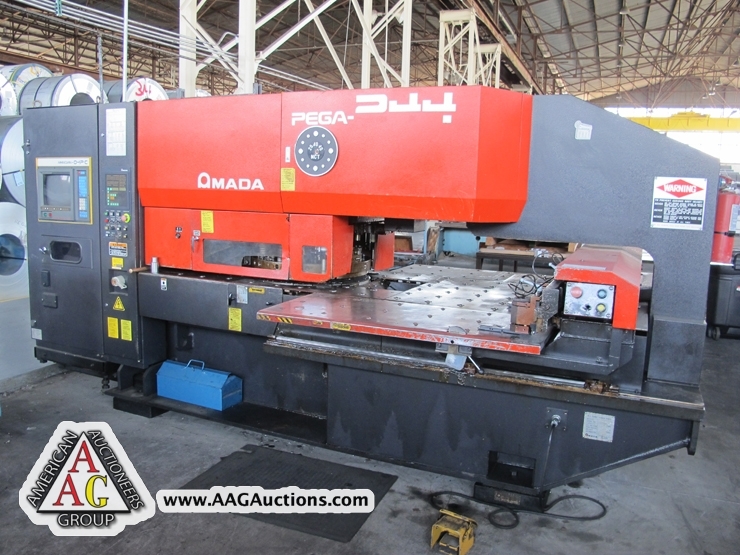 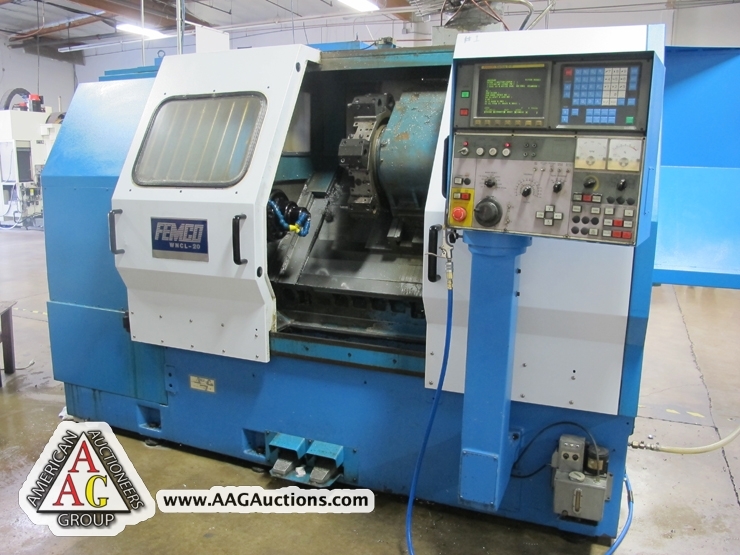 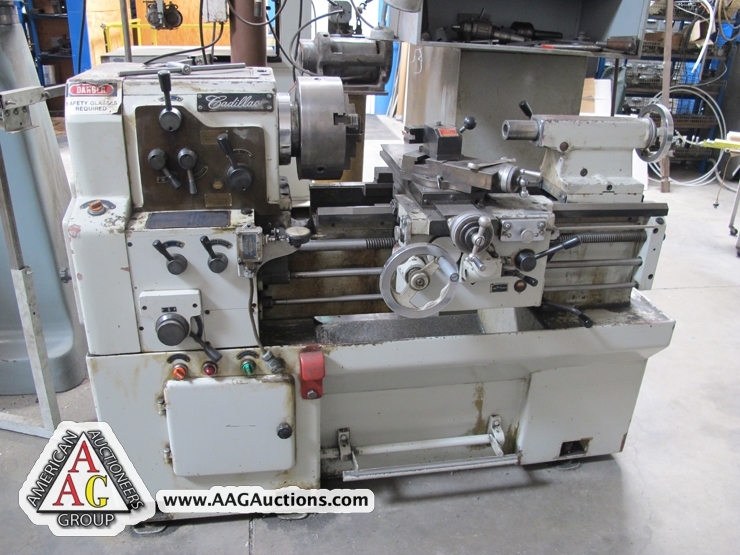 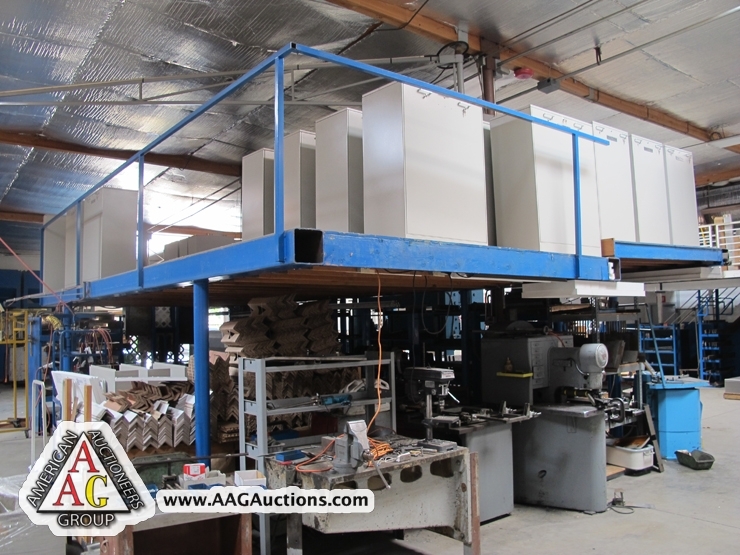 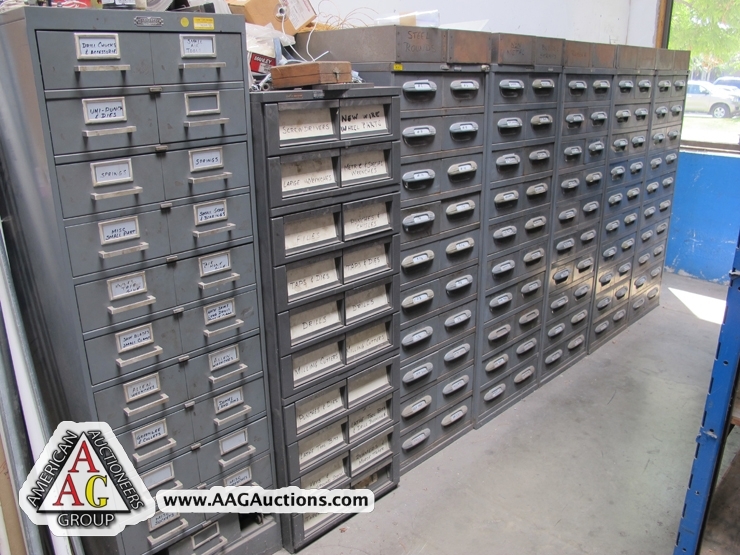 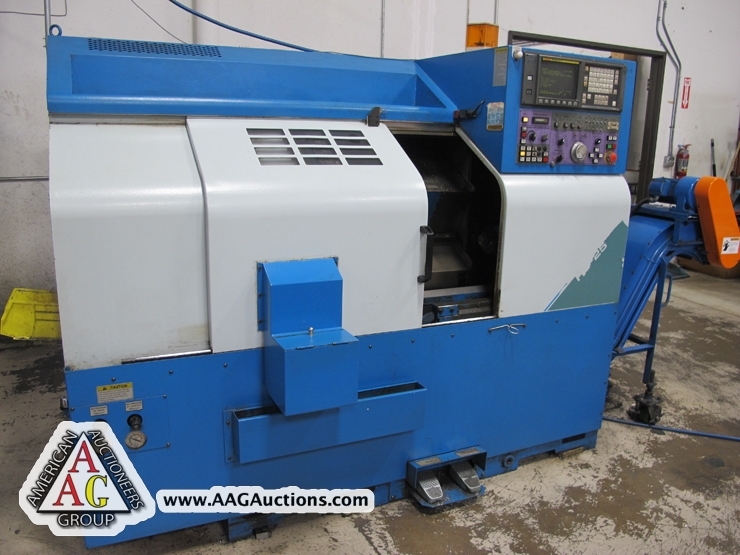 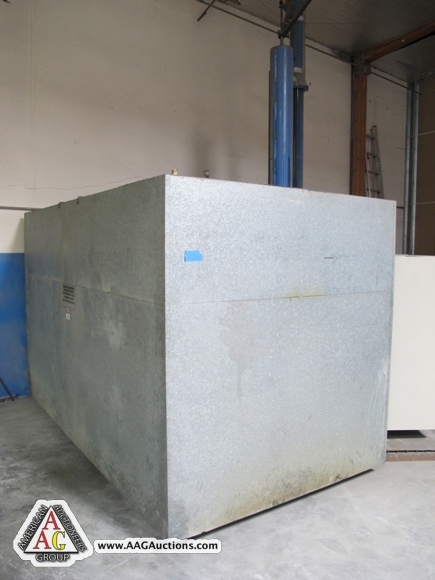 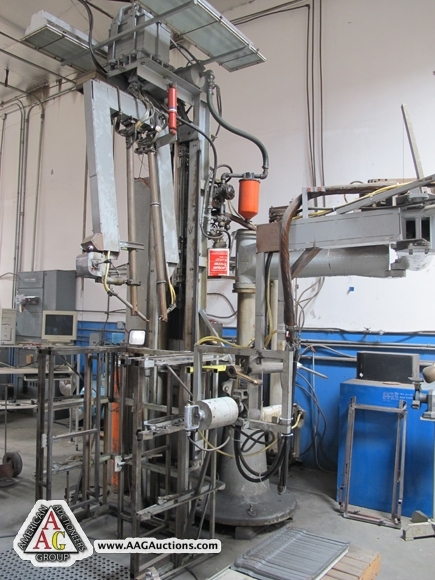 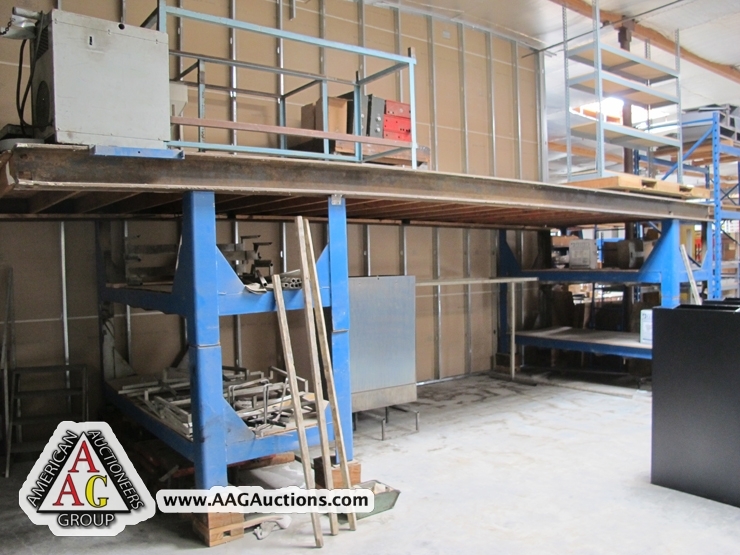 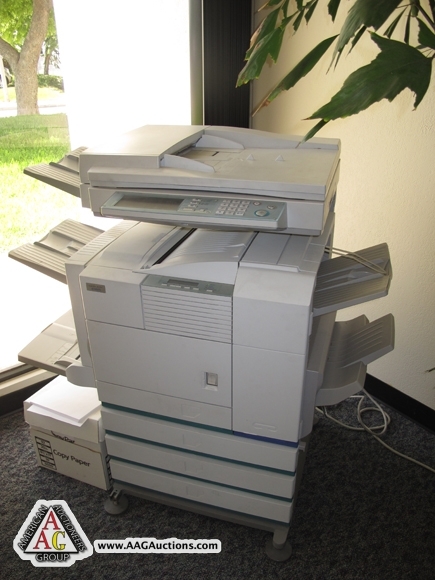 AUCTION DATE: WEDNESDAY, June 6, 2012 – STARTING @ 11:00 A.M.
1997 AMADA PEGA 244, 22 TON CNC TURRET PUNCH, 2 AI, THICK TURRET, 36 STATION TURRET, WITH O4PC CONTROL, S/N AP440214. 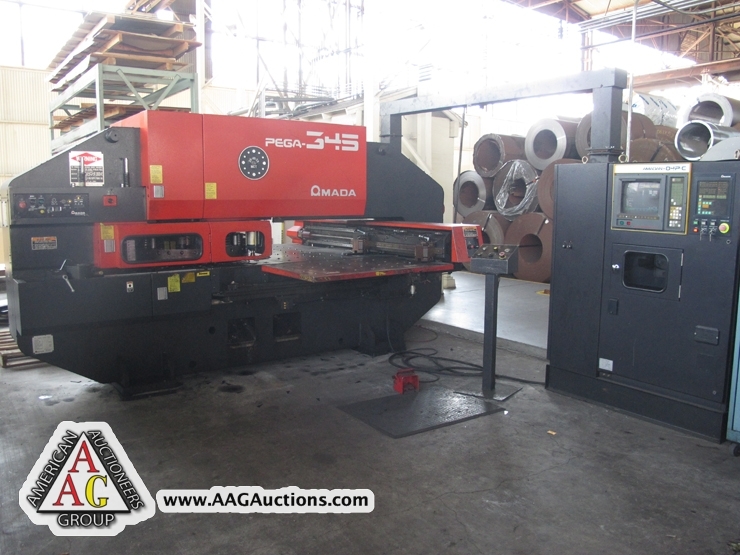 1998 AMADA 345 QUEEN, 33 TON CNC TURRET PUNCH, 2 AI, THICK TURRET, 58 STATION TURRET, WITH O4PC CONTROL, S/N AQ450316. 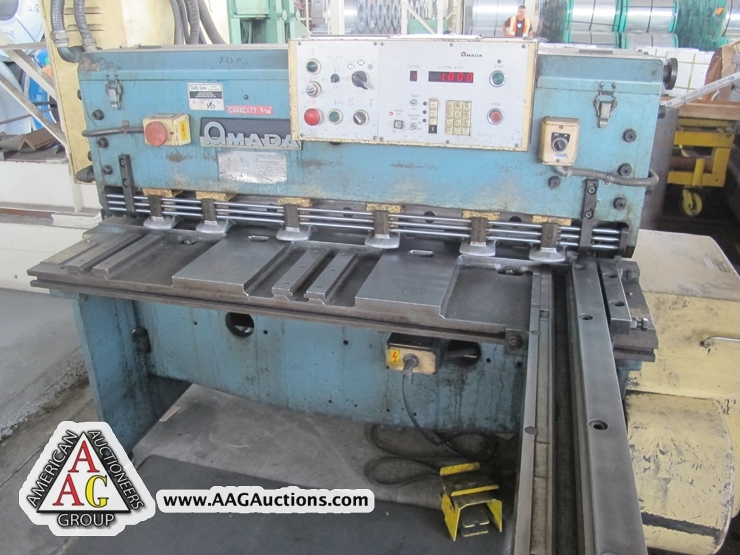 1986 AMADA M-1245, 4FT X 3/16’’ MECHANICAL SQ ARM POWER SHEAR WITH CNC BACK GAGE. 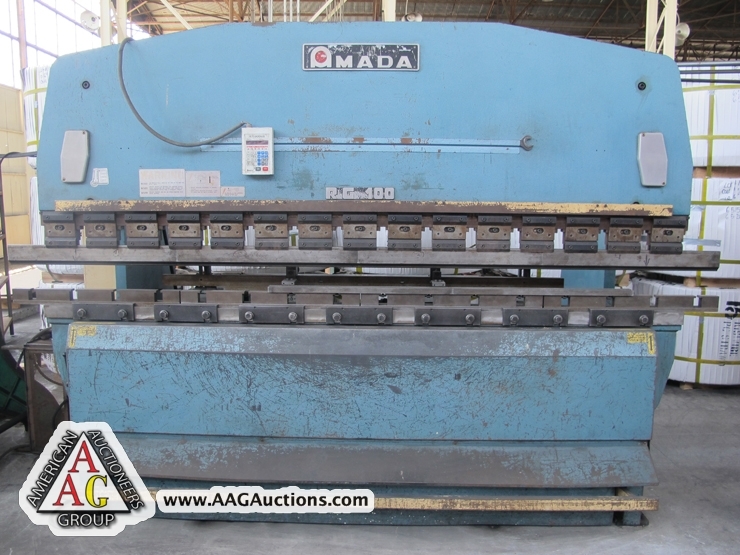 1986 AMADA M-3060, 10FT X .25’’ MECHANICAL SQ ARM POWER SHEAR WITH CNC BACK GAGE. 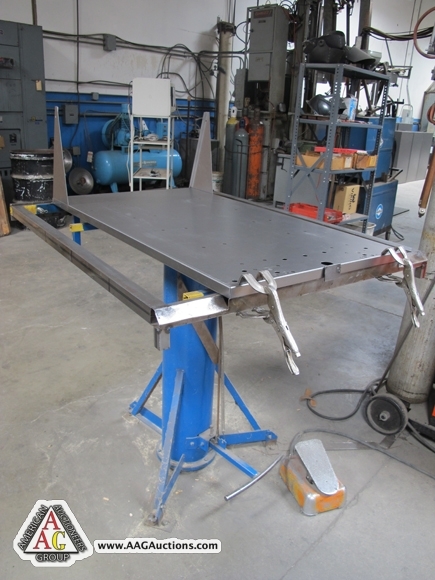 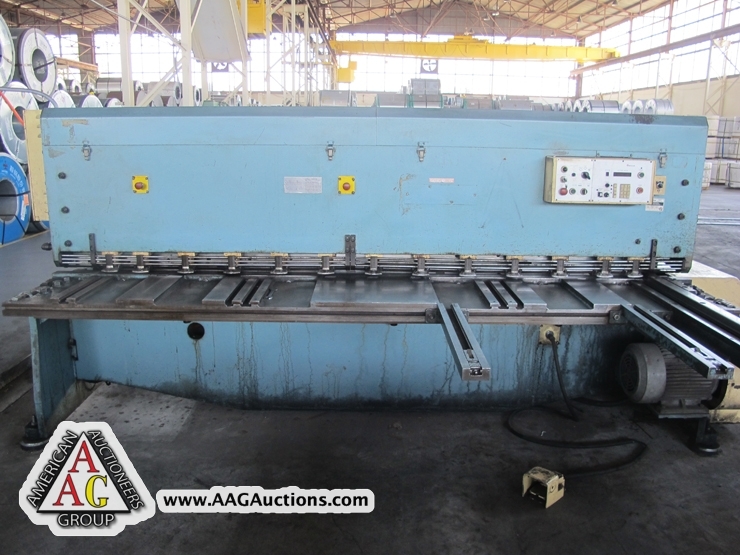 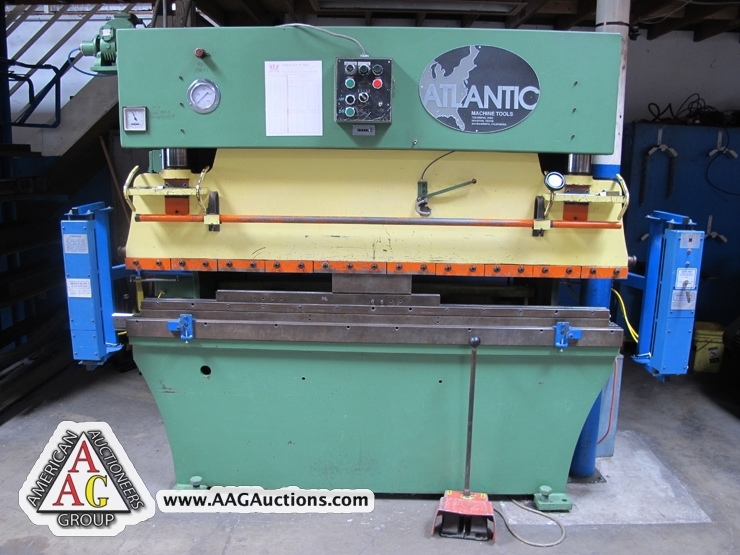 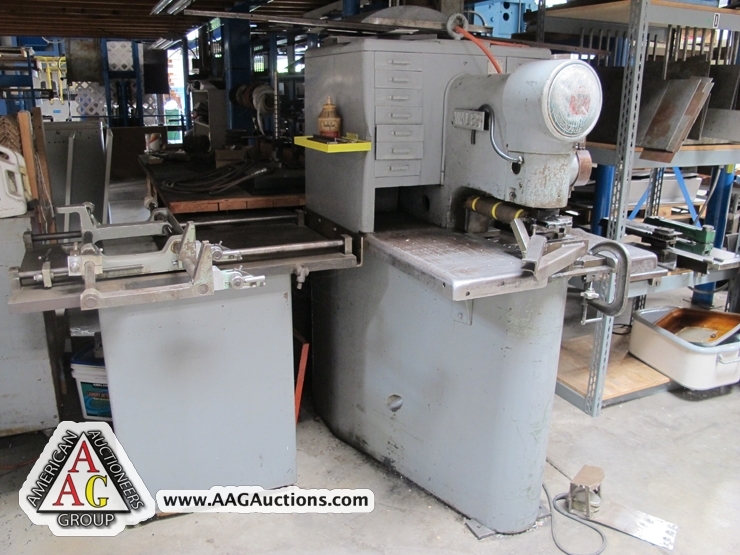 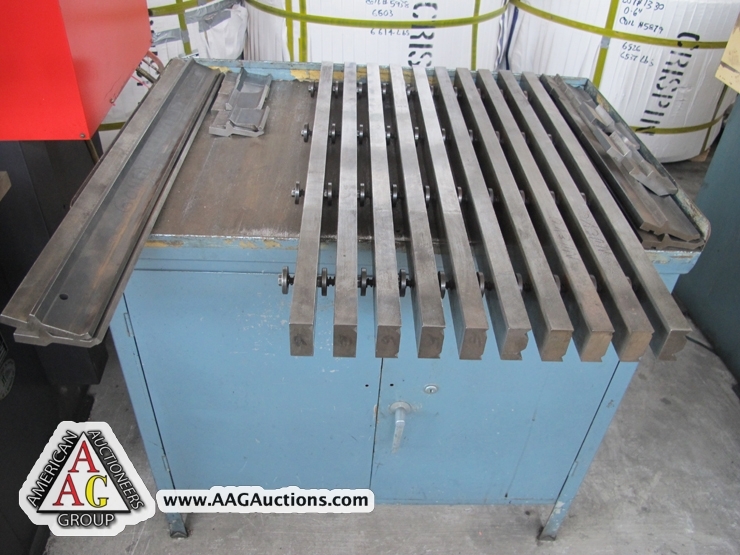 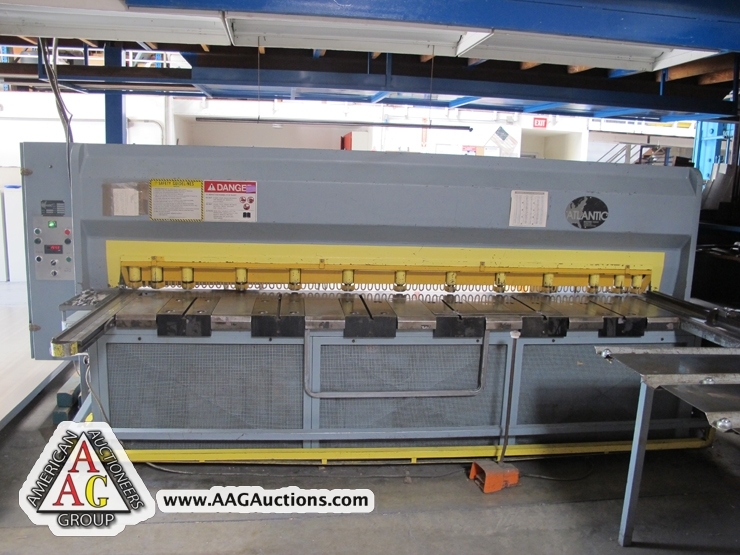 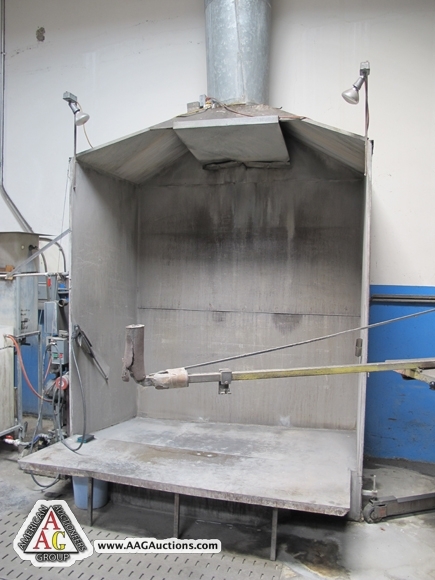 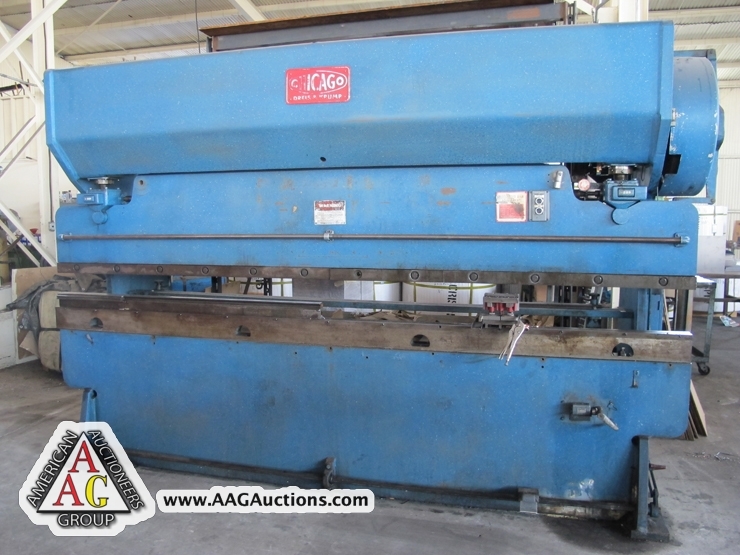 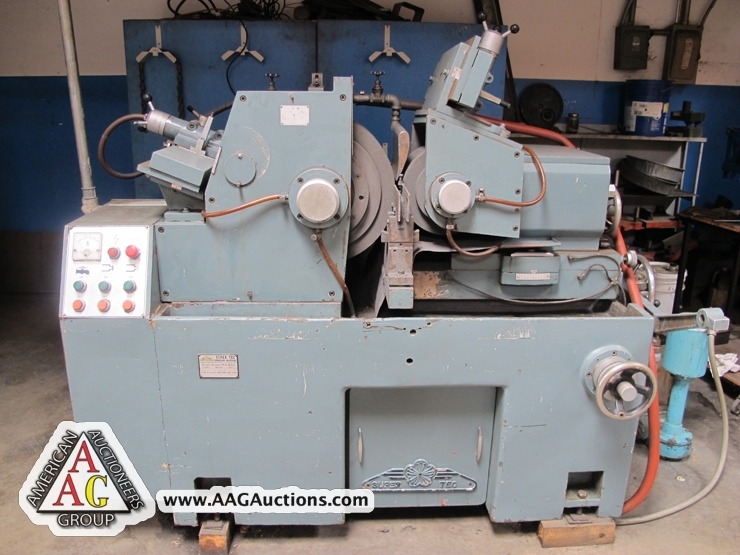 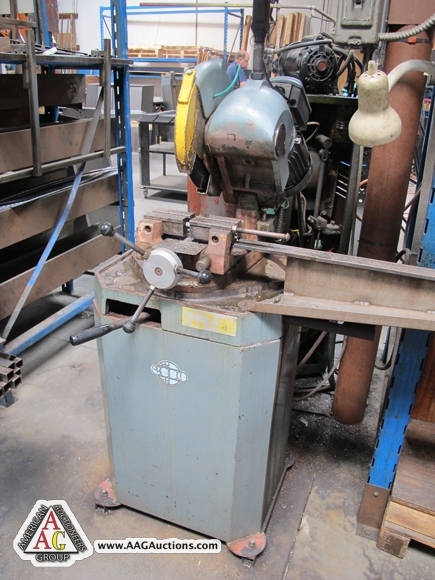 CHICAGO 1012L, 12FT X 90 TON MECHANICAL PRESS BRAKE, S/N 20390. 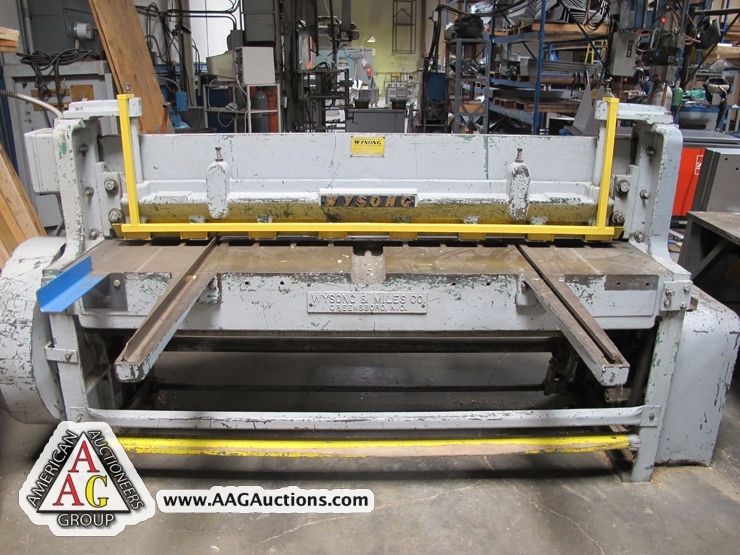 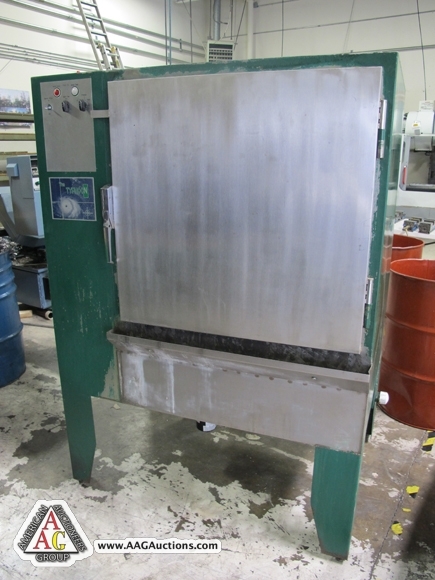 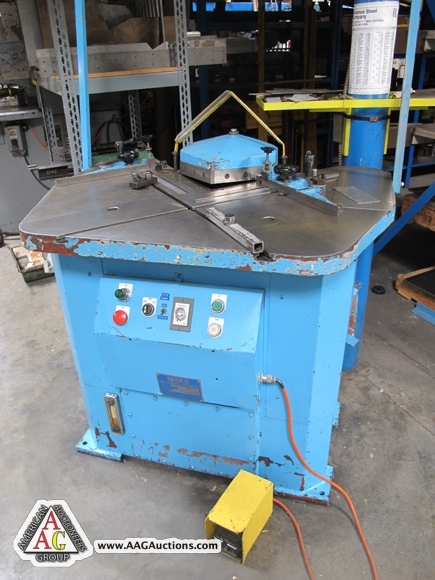 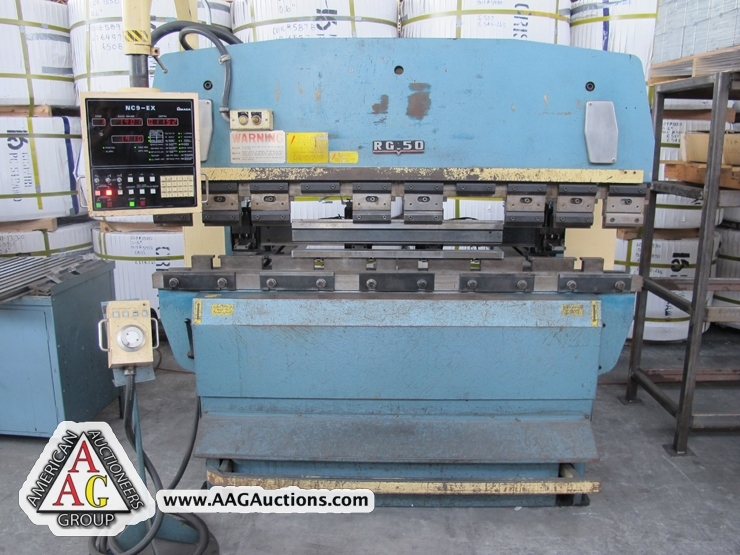 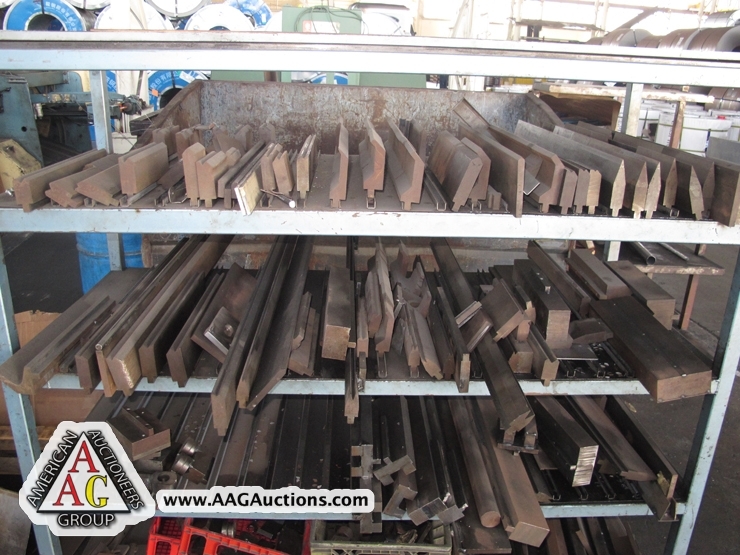 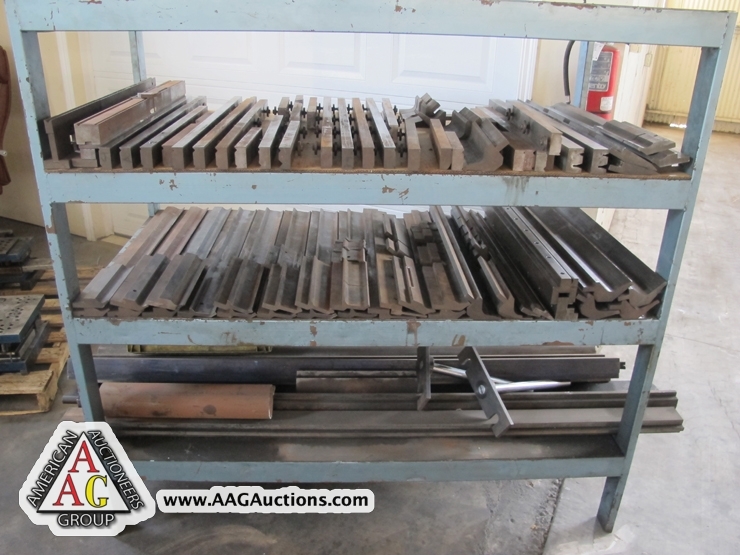 CHICAGO 135, 4FT X 15 TON MECHANICAL PRESS BRAKE, S/N L-15557. 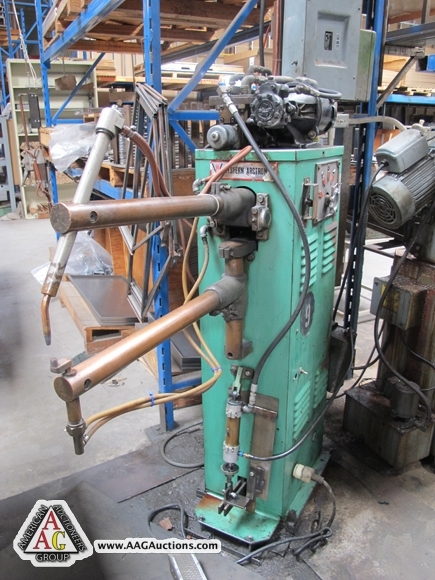 JANDA 40 KVA SPOT WELDER WITH ROBOTRON CONTROL. 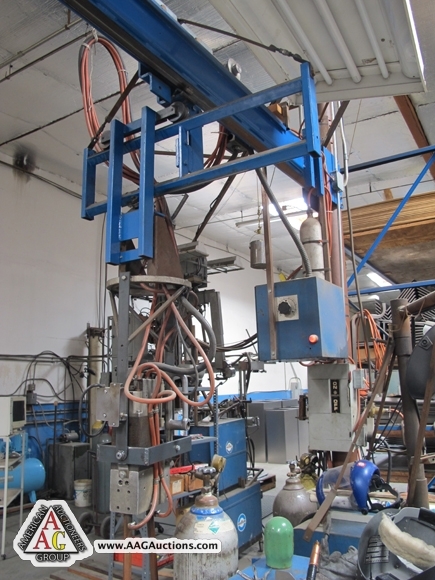 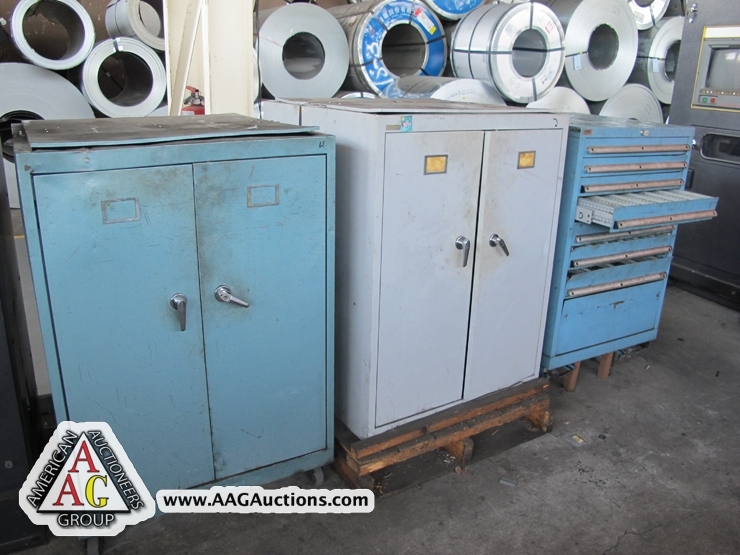 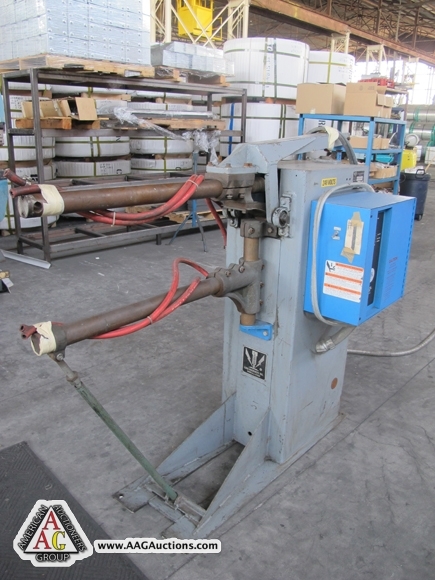 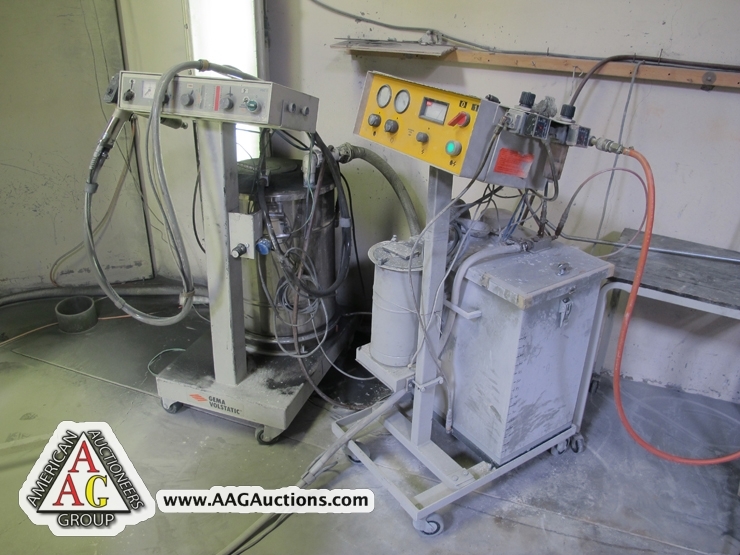 ACME 35 KVA SPOT WELDER WITH ACME CONTROL. 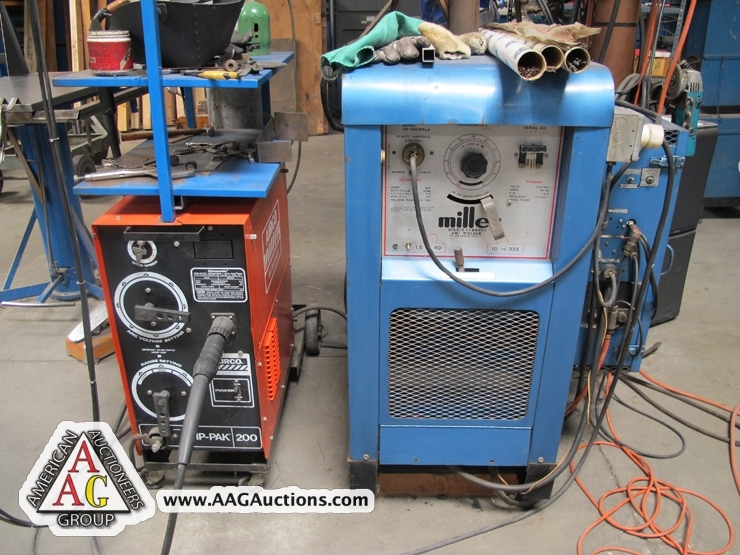 LORS SPOT WELDER WITH ACME CONTROL. 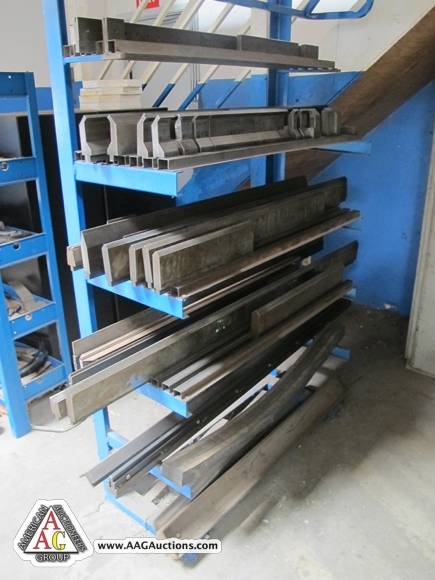 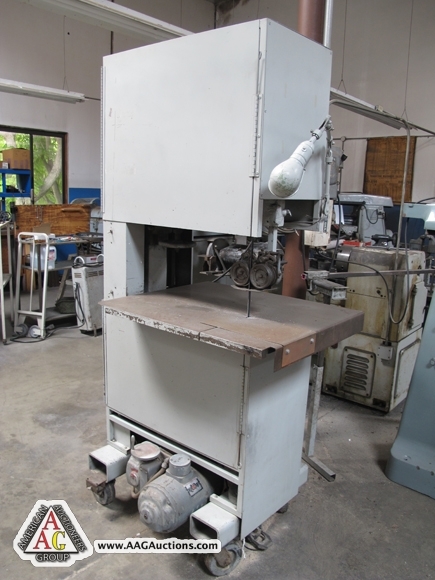 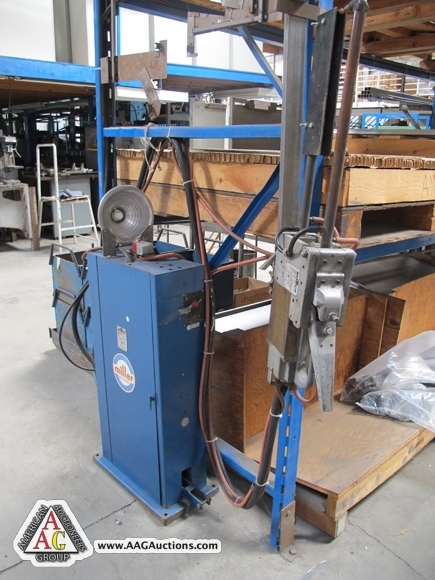 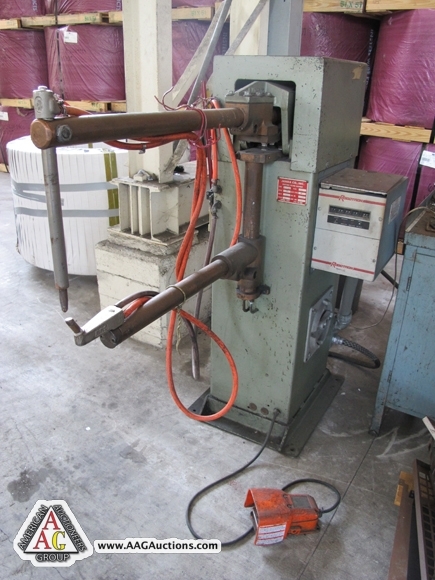 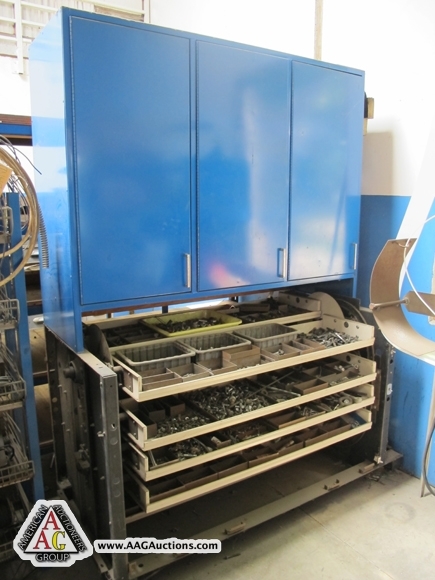 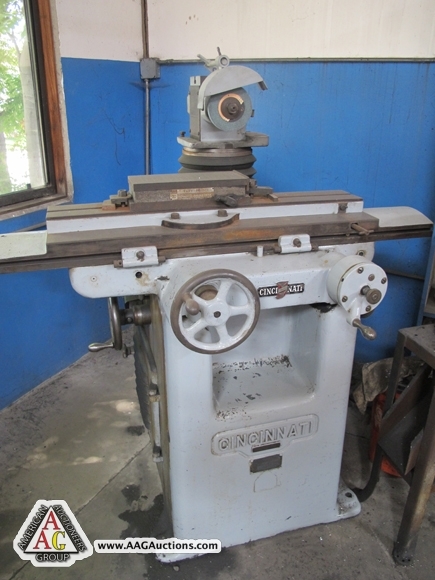 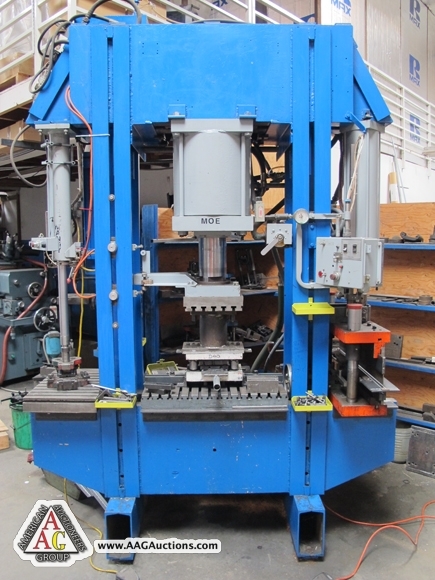 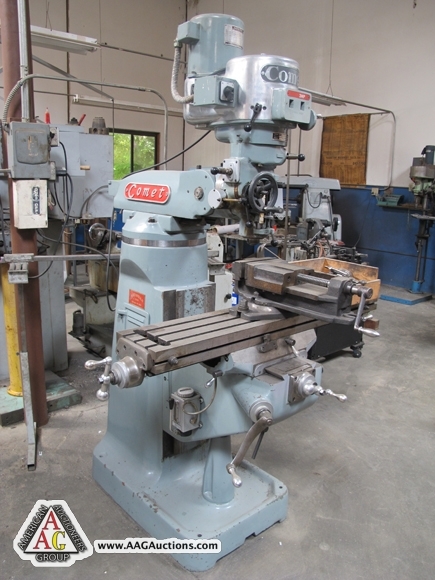 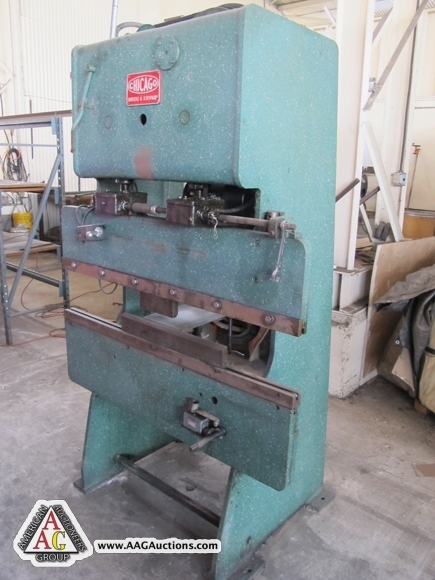 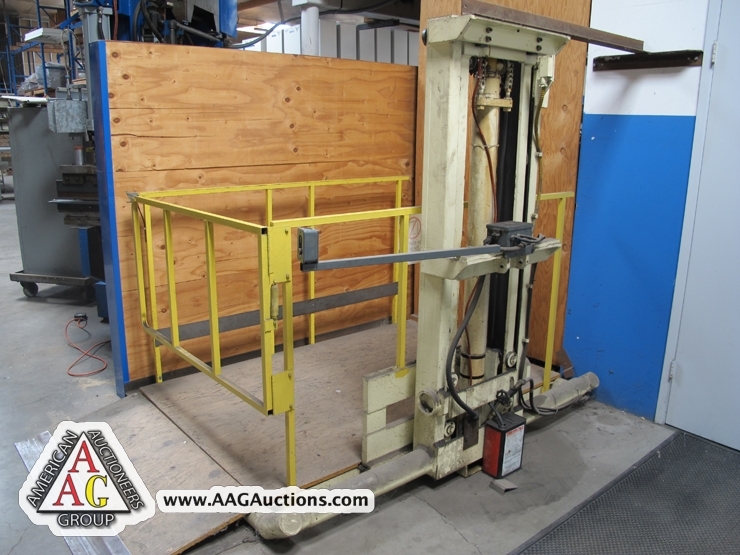 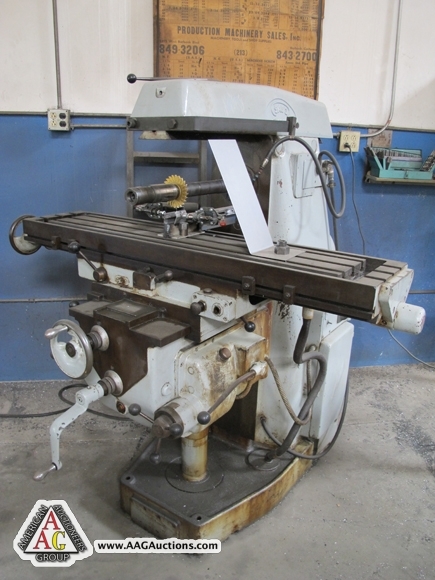 WALSH 65 TON MECHANICAL OBI PUNCH PRESS. 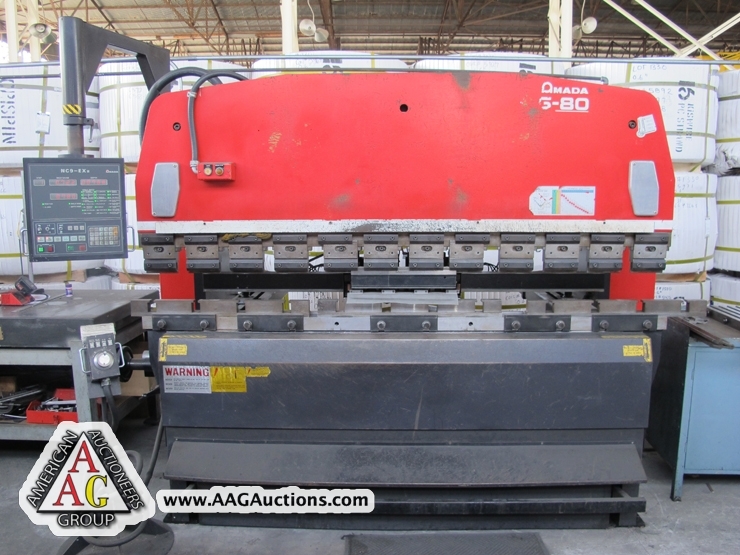 1996 AMADA RG-80, 8FT X 88 TON CNC PRESS BRAKE, HYD, W/NC9EXII 3 AXIS BACK GAGE, S/N 811164. 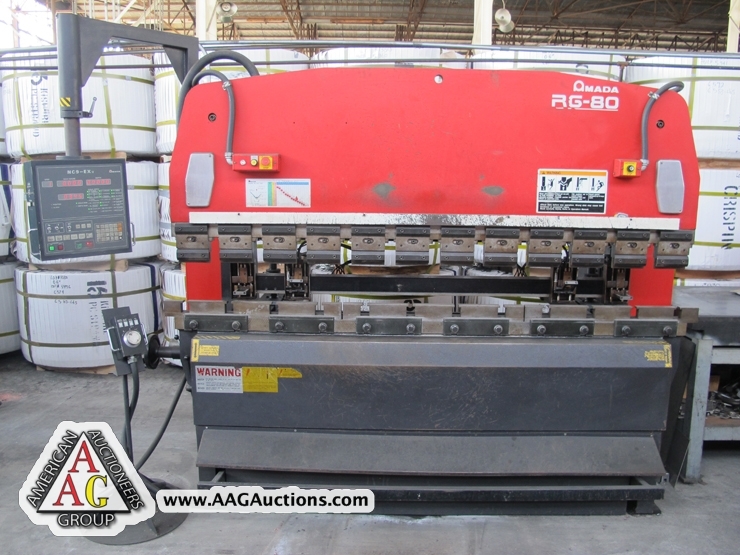 1994 AMADA RG-80, 8FT X 88 TON CNC PRESS BRAKE, HYD, W/NC9EXII 3 AXIS BACK GAGE, S/N 810584. 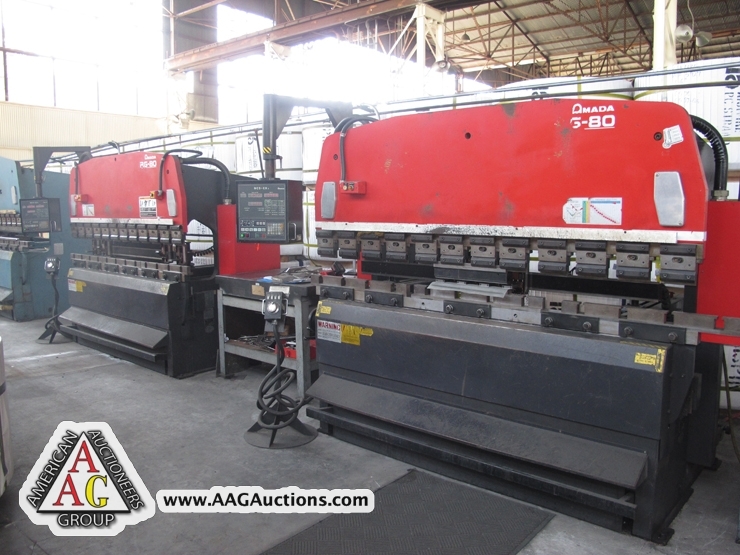 1982 AMADA RG-100, 10FT X 110 TON CNC PRESS BRAKE, HYD, W/ 1 AXIS AUTO BACKGAGE CONTROL, S/N 102036. 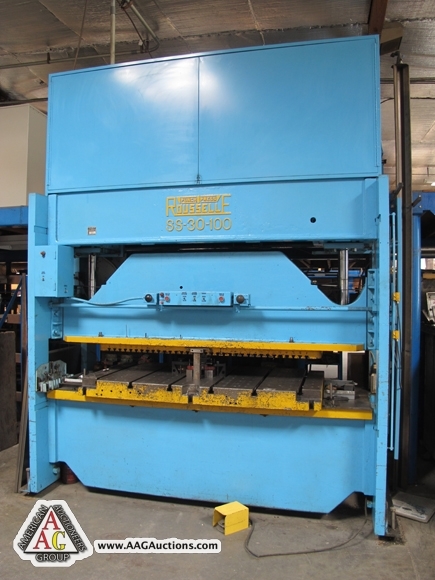 1986 AMADA RG-50, 6FT X 55 TON CNC PRESS BRAKE, HYD, W/ NC9EX 3 AXIS BACK GAGE, S/N 505736. 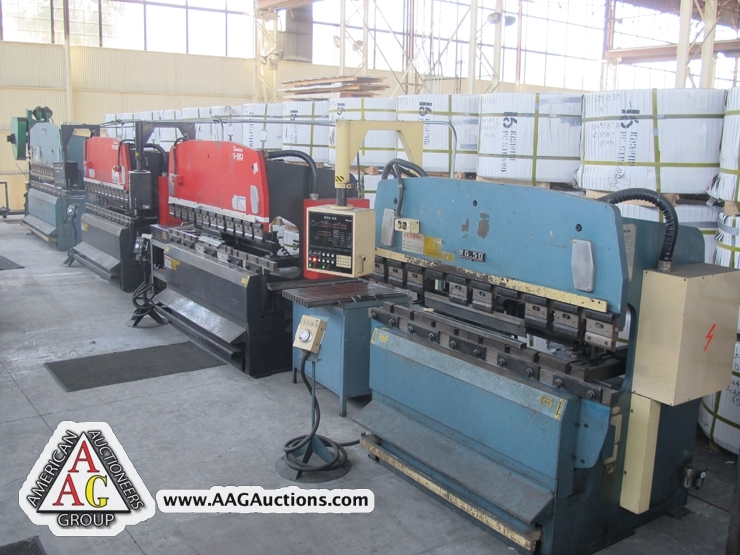 AMADA PRESS BRAKE TOOLING, AMADA CNC TURRET PUNCH TOOLING. 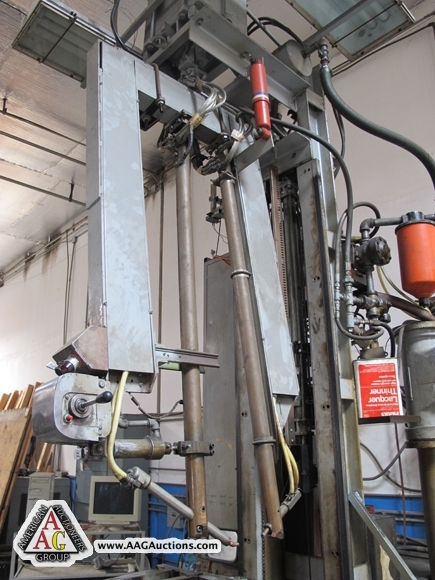 CAT MODEL GC-30, 6000 LB LPG FORKLIFT, S/N 6FM-00022. 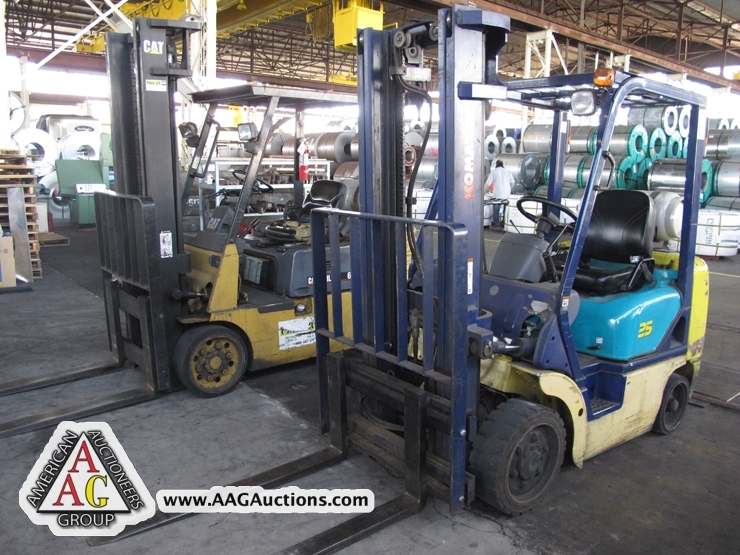 KOMATSU G25, 5000 LB LPG FORKLIFT WITH SIDE SHIFT.